Even when they don't know what they want. Picking quilting designs is hard enough when the quilt belongs to you. But it can be even harder to pick out designs for someone else’s quilt…..especially if they are your customer. You want to make them happy, but what if they don’t know what they want? That’s where you come in! By asking the right questions, you can make sure that you both are thrilled with the turnout. Did you have a particular quilting design in mind? What kind of quilting designs do you dislike? Even if your customer doesn’t know what quilting designs they want, they more than likely know want they don’t like. This is very important information to know! You could quilt the most beautiful feathers ever, but it won’t do you any good if your customer doesn’t like feathers. What’s the story behind the quilt? Getting the story behind the quilt (who it’s for, why they made the quilt, etc) can help you pick out or suggest quilting designs. For instance, you might quilt a baby quilt for a second cousin differently than you would a quilt made to enter a quilt show. The inspiration behind the quilt can also help you come up with some great suggestions. Can I think on this awhile? If you are stumped and unable to come up with any ideas, don’t force it. Ask your customer if you can think on it awhile. Assure them that you will be in touch soon with your ideas. It’s amazing what a night’s sleep will do for your creative thinking. I am so sure it goes without saying, but good communication between you and your customer is important…..very important. Make sure that both of you are on the same page. I cringe every time I remember the time I ripped out a whole quilts’ worth of quilting because I was mistaken on the customer’s wants. Keep notes (or emails) documenting your conversations. Remember, if it’s not in writing, it didn’t happen! Engaging your customer with these types of questions will help make sure you have a satisfied customer. What about you? 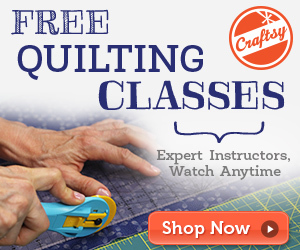 How do you decide what designs to use on your customers’ quilts? Totally agree with the density factor. That seems to be the biggest thing with my customers, too. All great advice! I am just starting with my long-arm, so I don’t have advice on picking customer’s quilt designs (yet! ), but I have worked in education and sales for years, and you are right about the communication being so important. Repeating back what I understand someone has said to me, or recapping our conversation to confirm, is so, so important! Taking good notes and/or having e-mails to refer back to is also key. Thanks for the tips! Love this post! Such great advice. With my customers, I always have to ask them about the density of the quilting. Only one or two of them want dense quilting, so then I try to get to the bottom of their “density factor”.